This employer had noticed that her maid was frequently watching violent videos on her smartphone, and reported her to the Internal Security Department, according to the Straits Times (ST) on Tuesday, February 5. The employer had become aware of a growing problem when the helper’s behavior had begun to change, said a spokesman for the Ministry of Home Affairs (MHA). The employer had also recently read of other domestic workers becoming radicalized. She noticed that the helper was watching images on social media of masked men dressed in military outfits, as well as violent footage. The MHA, who did not identify the individual nor her employer, revealed that the helper was a supporter of armed violence in areas such as Palestine, Myanmar, and Syria, and was in communication with militant individuals online. She expressed a desire to travel to war zones, believing that those who perish in the struggles there are martyrs. She had also listened to the teachings of extremist preachers. The MHA believes that the actions of the alert employer in notifying authorities at once allowed for the “neutralization of a potential threat” to the country. Since 2015, 14 foreign domestic helpers who were radicalized have been repatriated. The MHA told the ST that social media has been instrumental in the domestic helpers’ radicalization, especially in the 5 most recent cases of radicalized maids being repatriated, which occurred from July 2017 and June 2018. According to the MHA, one of the helpers was an ISIS supporter, and the other four supported armed violence in places of conflict around the globe, though none of the helpers made any concrete plans to commit acts of violence in Singapore. There is a counter-terrorism component in the required settling-in program for domestic helpers from overseas who wish to work in the country, but experts say that it’s possible the 5 women had not attended this component, since it was added to the program only in July 2017. A similar component has been added to the program for foreign construction workers. 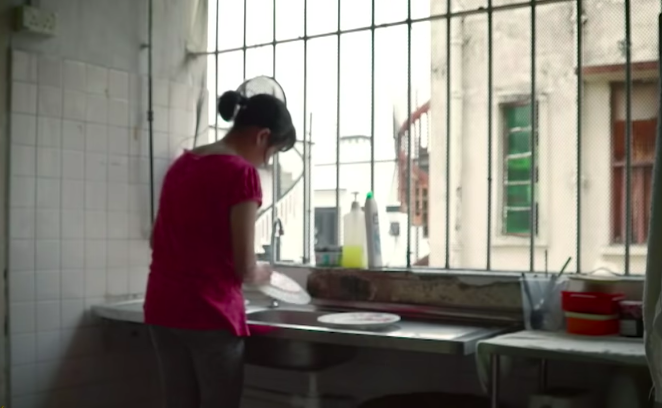 There are at least 250,000 foreign domestic workers in the country, as for June 2018’s statistics. MHA has said that radicalization among foreign workers is still a persistent issue in the country. Three foreign work permit holders from Malaysia were also arrested and deported in 2018 due to activities allegedly related to terrorism.